In network systems, an iSCSI target is a device to which data is being transmitted from another device by means of iSCSI technology. Generally, the term target in IT means a destination, e.g. a file, device or any other type of location to which data is moved. In more specific terms, the computer copies data from the source which is in this case called the initiator to the destination device – the target. Therefore, an iSCSI target is a device which is connected using a network to other devices, to which data is copied in order to be stored there. In network storage where iSCSI technology is implemented there can be many storage devices. That is why ISCSI target does not have to be a single unit in the whole system. It can describe one of potentially many instances of iSCSI storage nodes running on the specific server. 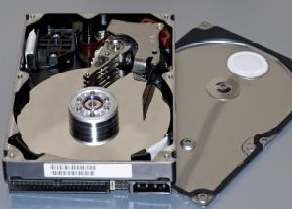 iSCSI target is often a hard disk connected to a dedicated storage network, but it may as well be a general-purpose computer, since as with initiators, the software to provide an iSCSI target is available for most mainstream operating systems. iSCSI targets most commonly are hard disks. However, iSCSI tape and medium-changer targets are popular as well. Additionally, in the era of cloud computing and virtualisation, iSCSI targets can also be virtualised devices. It is possible to virtualize disk, tape and server targets used for data storage. The underlying implementation can differ drastically from the presented targets also in the case of virtual tape library (VTL) products in which data is written to virtual tapes. In both cases, the standard as well as virtual, the targets can be bridged by iSCSI target software, external bridges, or controllers internal to the device enclosure. There can be two possibilities for a device to achieve a target functionality. It can be built in their operating systems or acquired by means of additional software.